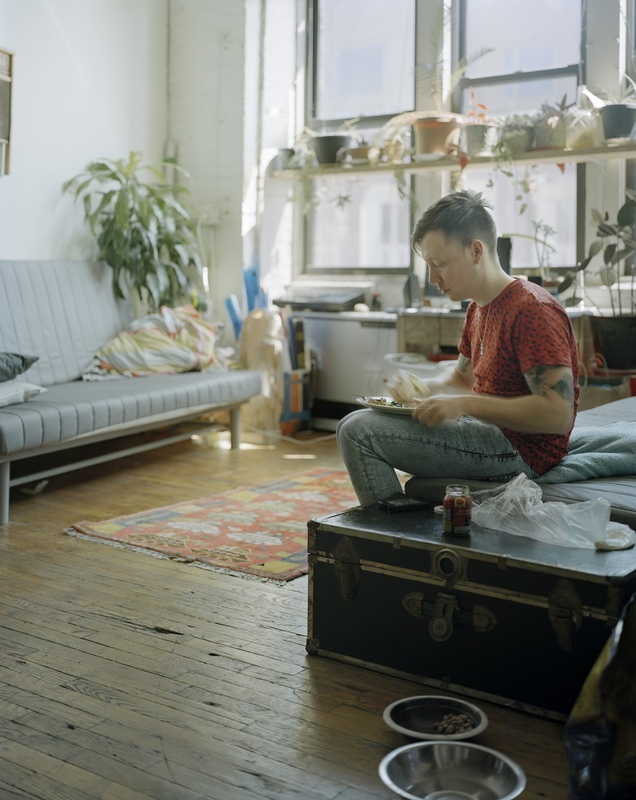 Jamie Weiss, a filmmaker originally from Carroll Gardens in Brooklyn, has lunch in the living room of his flat. He likes this particular area of the apartment because of the amount of light coming in from the tall windows. April 2013. Published November 20, 2016 at 1271 × 1600	Both comments and trackbacks are currently closed.